Huskies run the ball 62 of their 65 plays to steamroll Raiders. 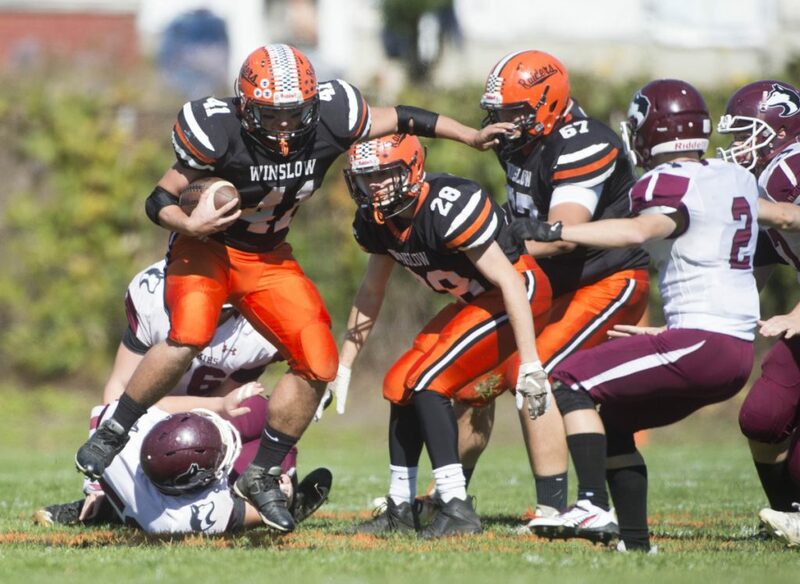 WINSLOW — It’s never easy for an opponent to beat the Winslow High School football team on Poulin Field. 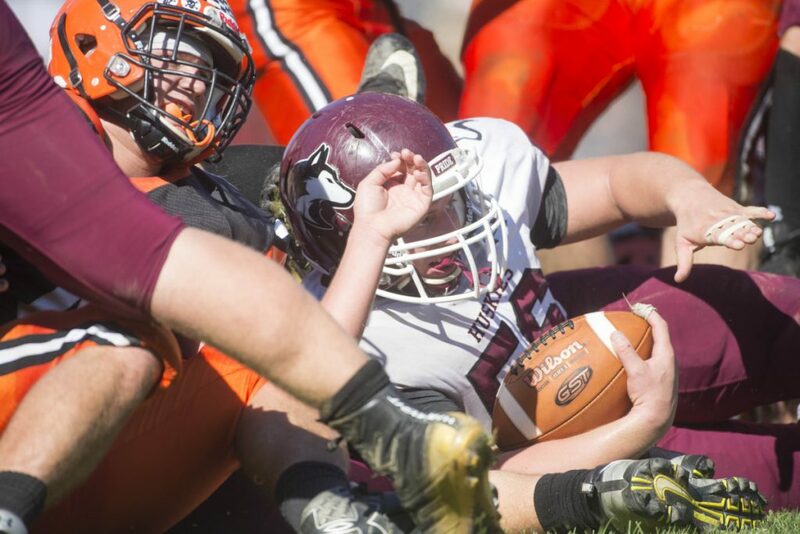 Now, Maine Central Institute has done it twice in a row. Using a dominant running attack and a ball-hawking defense, the Huskies pushed Winslow around all afternoon, taking a 28-7 win. MCI (5-1) won a regional semifinal game at Winslow (3-3) last season, and coach Tom Bertrand said he wouldn’t be surprised if they meet in the playoffs again. “I bet we’re going to see them down the road again. It will be another dog fight if we do see them,” Bertrand said. 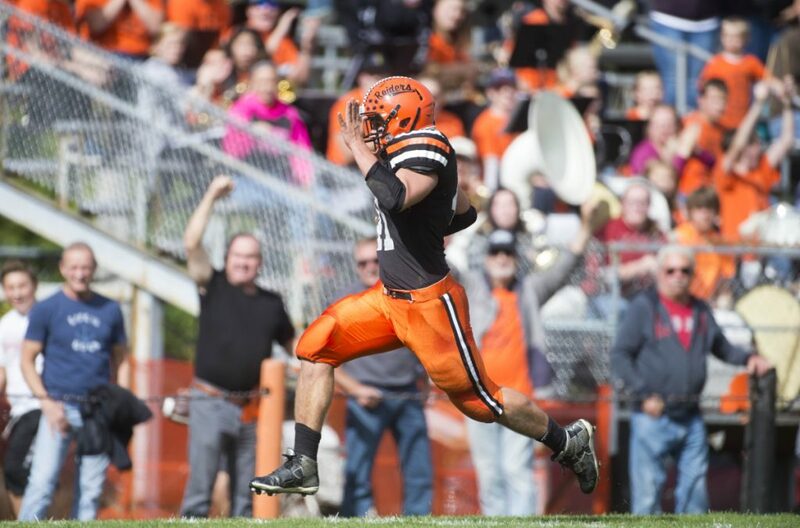 The Huskies gained 291 yards, all on the ground, while holding the Black Raiders to 142 yards of offense. “Their line, their ball control, was incredible. 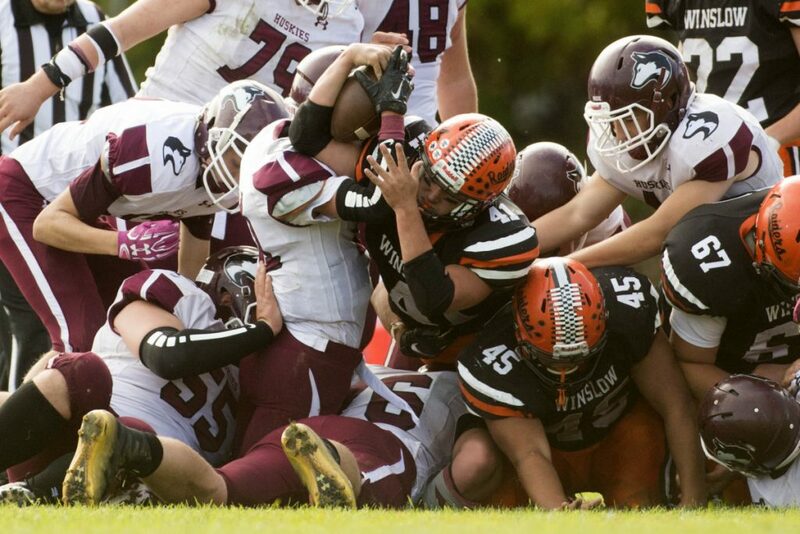 We seemed like we were trapped with our back against our goal line the whole game. 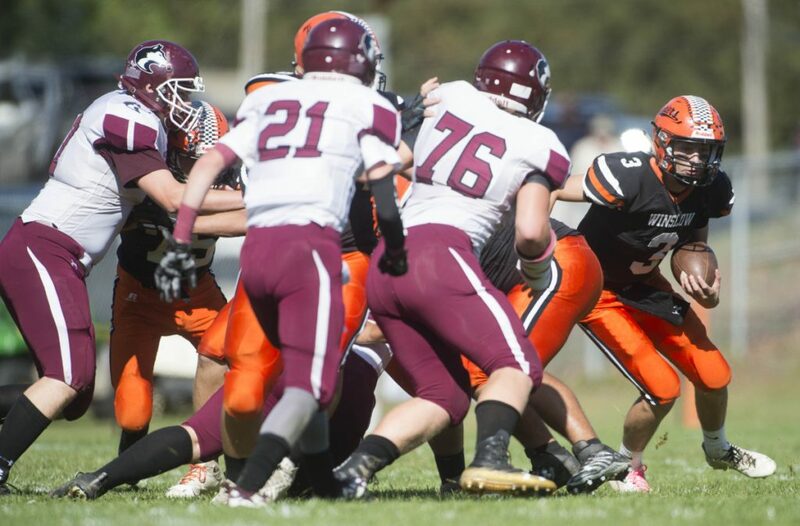 We stopped them here and there, but they’re relentless,” Winslow coach Mike Siviski said. 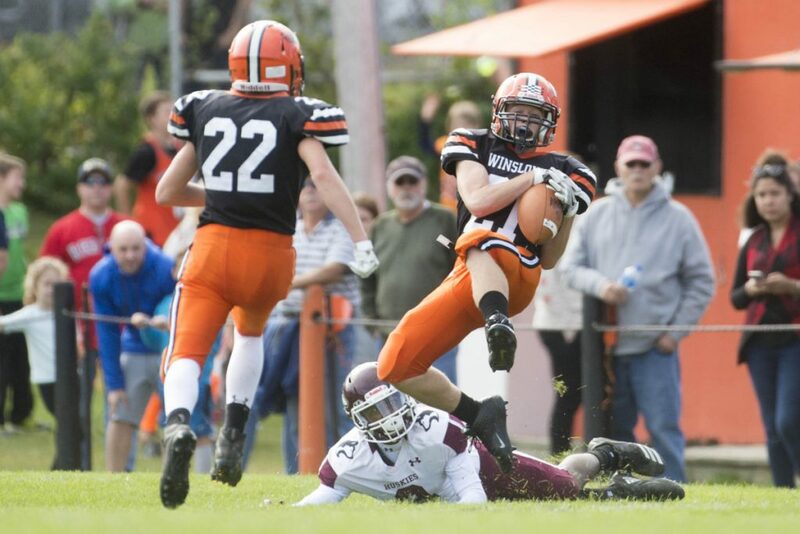 MCI had 65 plays, rushing the ball 62 of them with an average of 4.7 yards per carry. 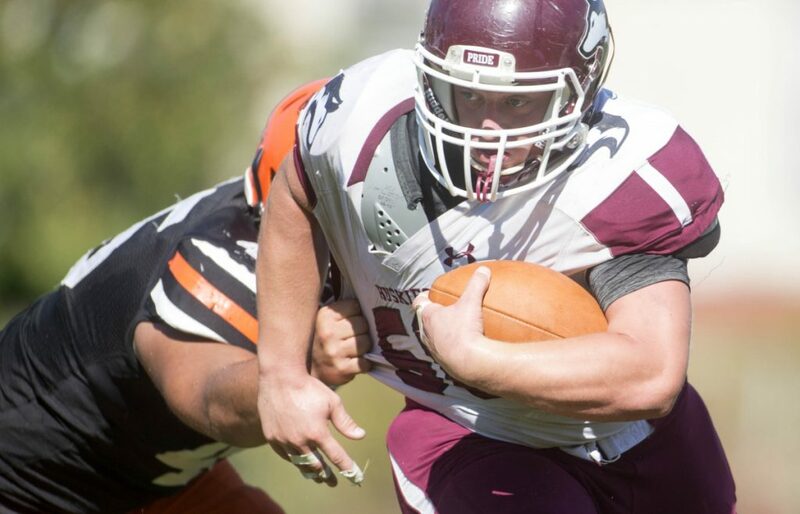 Fullback Seth Bussell, a converted guard, was the workhorse, carrying 37 times for 171 yards and a pair of touchdowns. Tucker Sharples (15 carries for 73 yards) and Kempton Roy (five carries for 31 yards and a touchdown) also helped the Huskies control the game on the ground. 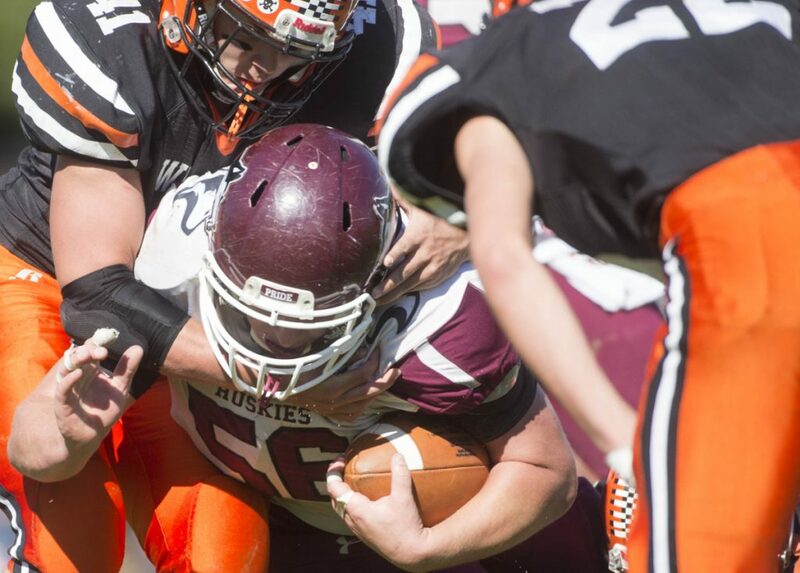 MCI took a 7-0 lead when Bussell scored on a 5-yard run with 4:08 left in the first quarter. The score capped a 14-play, 73-yard drive. 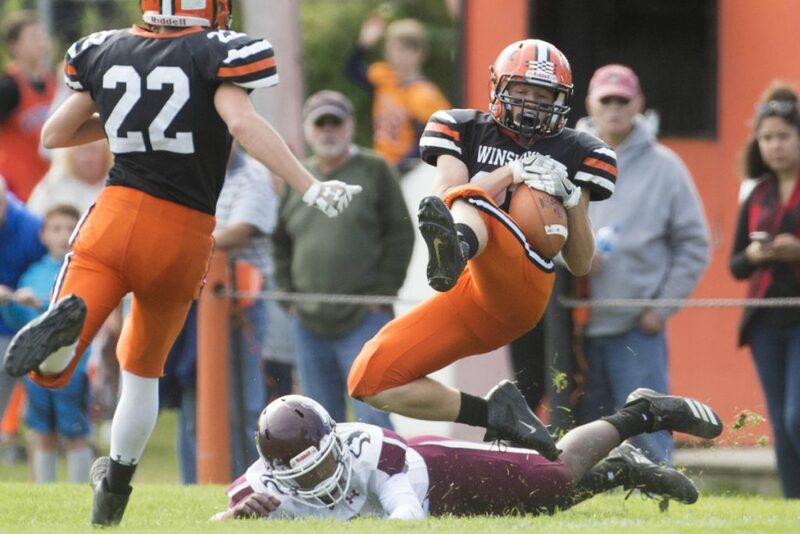 Winslow answered when Ben Dorval (12 carries for 109 yards) ran 63 yards for a touchdown with 1:38 to play in the first. 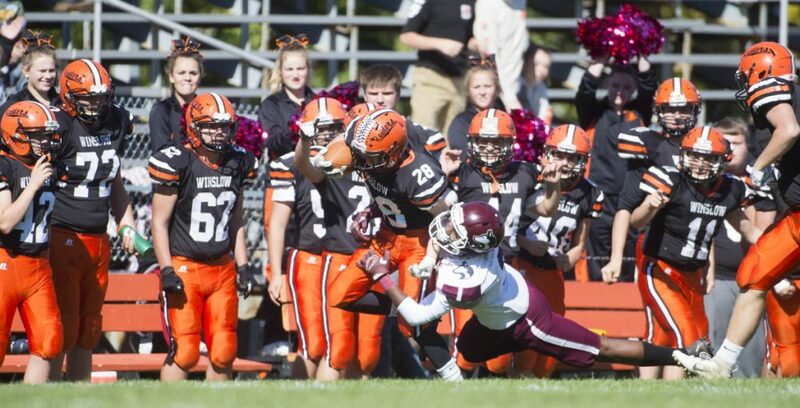 The touchdown came when the drive was extended because of an MCI roughing the punter penalty, and the play accounted for 44 percent of the Black Raiders’ offense on the day. Winslow gained just five first downs, and the Huskies forced three Black Raider turnovers in the second half. Tyler Staples intercepted a pair of passes, and with 1:11 to play, Roy returned an interception 31 yards for MCI’s final touchdown. “Our guys are just flying to the ball. Coach (Lincoln) Robinson is doing a great job coordinating that and calling it, and our kids are just responding to what he wants them to do. Some kids who were green are getting experience,” Bertrand said. MCI had a drive stall at the Winslow 1 with a fumble midway through the second quarter, but the Black Raiders were unable to gain momentum from the stop. Bussell’s second touchdown, a 2-yard run with 2:30 left in the second quarter, put the Huskies ahead for good. Roy’s 17-yard touchdown run with 3:54 left in the third quarter pushed MCI’s lead to 21-7. 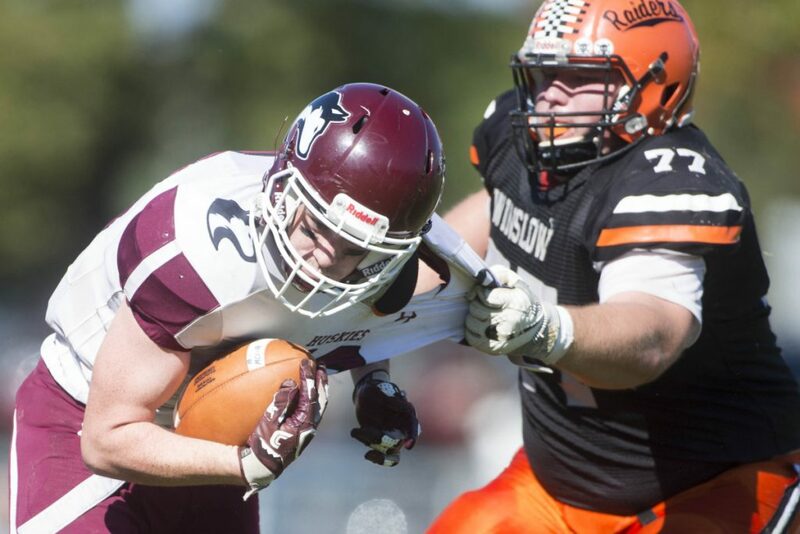 For Winslow, this was the second consecutive loss at home. 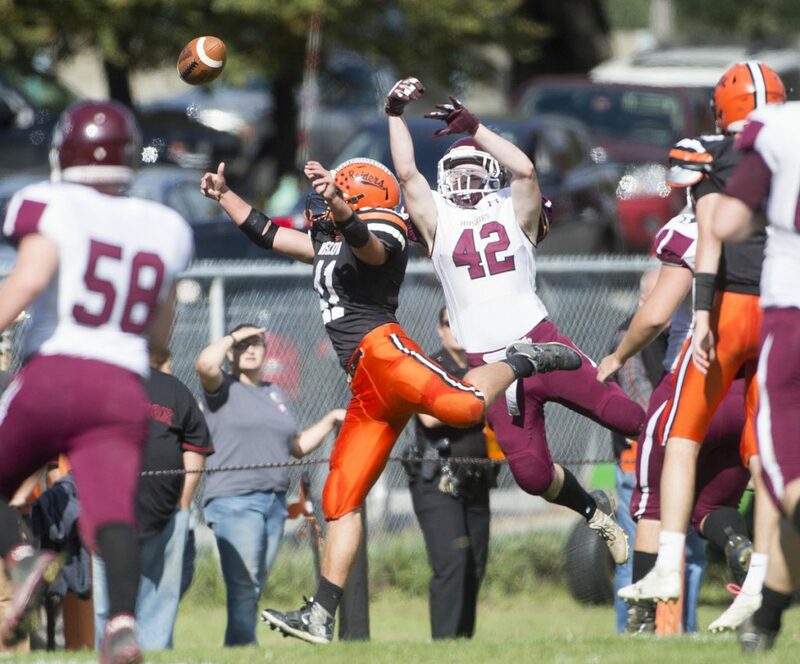 The Black Raiders fell to Lawrence last week, 17-14. “We’re proud we played hard, and we’ll try to learn something from these last two weeks, with Lawrence and these guys, and try to get ready (for Medomak Valley),” Siviski said.